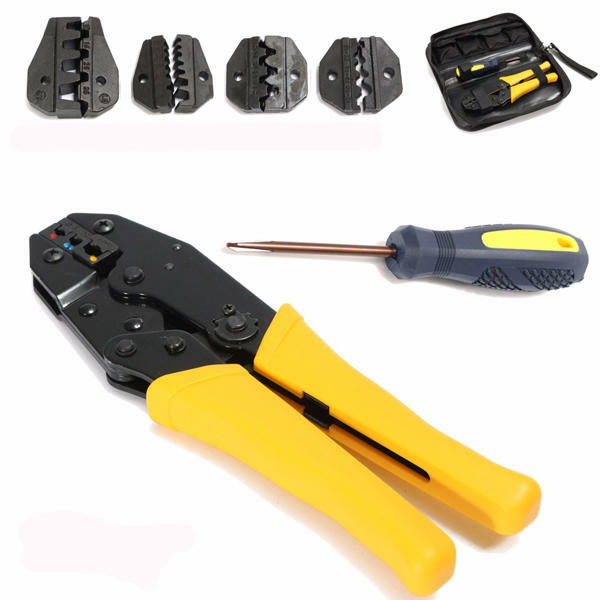 - Self adjustable ratchet Crimping Pliers, with 5 interchangeable jaws, grimping capacity from 0.5 to 35(mm²). 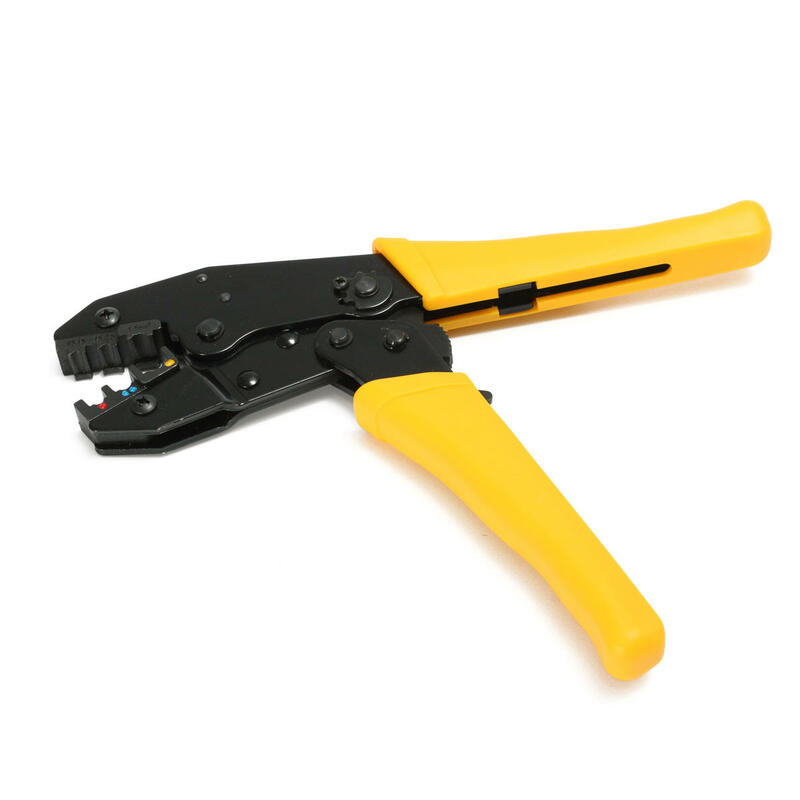 - Adjustable crimping pressure and ratchet release pressure. - Labor-saving ratchet device, easy operation, clear crimping effects. - Including a screwdriver (6mm diameter) for easily switch back and fix 5 interchangeable tips. - For insulated and non-insulated terminals and connectors. - Come with a soft nylon pouch for storage,easy to carry.